Children's School CardigansSet in sleeve School Cardigans in popular school uniform colours. 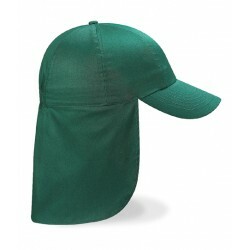 Self co..
Children's Fruit Of Loom Polo ShirtsTaped back neck seam for added comfort. 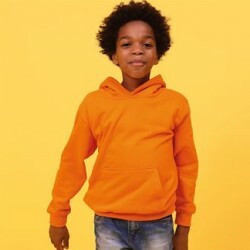 Two-button placket with ..
Children's Fruit Of The Loom T-ShirtsProduced using Belcoro yarn for a softer feel and cleaner print..
Children's Hoodies Twin needle stitching detailing. Double fabric hood. 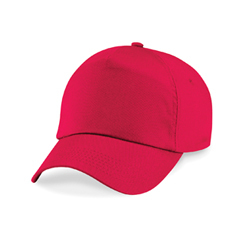 Kangaroo pouch pocket..
Childrens Legionnaire Caps Lead time will be 4-5 working days on this product Elasticated ..
Childrens School Caps Lead time will be 4-5 working days on this product RipStrip™ size ad..
Children's Varsity Hoodies Twin needle stitching detail, double contrast hood with contrast i..
Academy School SweatersCrew necK, raglan sleeve School Sweaters in popular school colours. 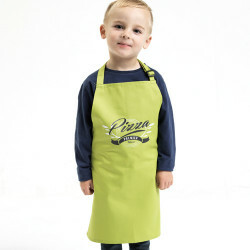 Available..
Children's ApronClassic Premier children's bib aprons. Self fabric neckband. Self fabric ties 50cm l.. 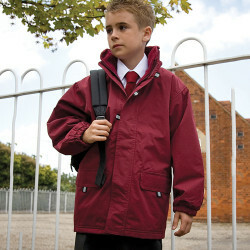 Junior Long School JacketExtremely hardwearing, playground tested. Easy use, easy close tear release.. Junior School SweatersCrew necK, raglan sleeve School Sweaters in popular school colours. Available ..